It’s all about the infield skin and how well it plays. That’s what it boils down to. 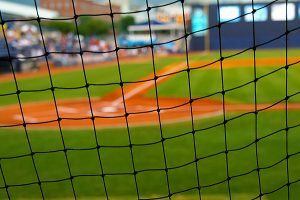 The reputation of a groundskeeper at any level — big leagues included — is not determined by how beautiful their grass looks. It’s not determined by how fancy their mowing pattern is. Those are things the average fan watching a game will notice. The players? They’ll remember an infield that is prone to bad hops or one that drains poorly, and that’s what ballplayers will be talking about amongst themselves. Properly maintaining an infield skin is an art. The groundskeeper needs to truly know the “personality” of the skin. How will it react to varying weather conditions?